The bottom line: To move forward, we must look back. That’s the foundation for UF College of Education doctoral candidate Kenneth Noble’s award-winning dissertation proposal. 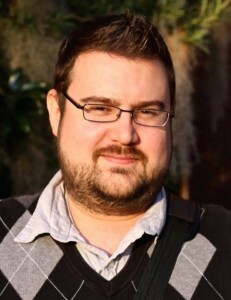 The UF Center for Humanities and Public Sphere, which promotes and funds research programs of UF humanities scholars, recently awarded Noble the Rothman Doctoral Fellowship based on his dissertation topic choice. His proposal revolves around the idea that to address modern-day concerns with police presence in urban public schools, educators and society must first understand the history behind officers’ integration into school systems. The $2,000 monetary award, which comes with the honor, will go toward Noble’s research expenses. Noble, 33, who plans to graduate in the fall of 2017 with his doctorate in curriculum and instruction, said he is encouraged that other scholars in the field find his dissertation topic significant. “Understanding how, when and why police began partnering with schools provides an historical context to what many perceive as a critical concern in public education today,” he said. Noble will have the opportunity to present his findings to the UF Center for Humanities and Public Sphere this fall.